In 2013 our lives changed forever... We were a family of three until our precious girls, Rukia and Saki came into our lives. The memories we've shared, destinations we've visited and adventures we've undertaken with our Shiba Inu's have given us the passion to create Mountain Shiba. As an online boutique for dogs and their parents, we are dedicated to enhancing outdoor family adventures with great products that meet the highest quality and safety standards for your dog. We love to see family dogs on adventures! That's why we are committed to carefully selecting products that enhance outdoor adventures and urban outings so your dog can join you in each one. Back in 2013, our son expressed an interest in having a dog, as he'd never had the experience of taking care of one before. At first, his dad was adamantly against the idea, but quickly changed his mind when he learned more about the Shiba Inu. 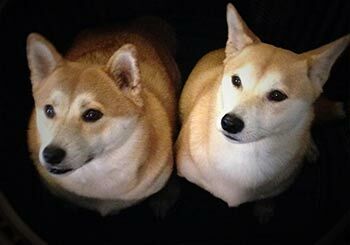 It was then, ironically, that his father began to do all the research on these dogs and after about a month or so of visitations, we finally stumbled upon our first Shiba Inu. Rukia was so full of energy and had such a spirit about her so we knew she was the one. It was a real learning experience for us, very akin to bringing home a baby from the hospital and having to prep the house to make sure it was a safe environment for the puppy. The main difference being that this baby was always on the floor and didn't wear diapers, meaning there were a few mishaps in the early days. They may sound like "the average dog", but it's during those in-between moments that their personalities shine. Saki will do anything you say, and Rukia wants everything her way. Rukia is better with people, and Saki is better with dogs. And likewise, they both take different approaches to the unfamiliar and the new. Each day is an adventure. Not only have they changed our entire world, but they have enriched our lives in ways that are unimaginable. They are family! Rukia and Saki are the reason we created Mountain Shiba. Some dogs are more suited than others towards outdoor adventures. Even outings can be a struggle at times. All dogs have different levels of potential. Some you can go on a hike with, and others, to an outdoor café. It doesn't matter where your furry friends are from, or what they're used to, whether they be country dogs, or city dogs, or even suburban dogs - it's about giving them exposure. 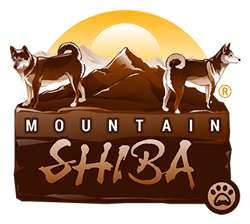 It was on a trip to Bryson City in the Western North Carolina Smoky Mountains that the idea for Mountain Shiba was born. We realized there was a need for high quality adventure and urban gear for the family dog. Dogs are our passion and we want to help you break whatever limitations may currently be in place to get you going on your adventures, even if it's just for a walk in the park on a sunny afternoon. Bring your Dog on Your Next Adventure! Find the best travel accessory for your dog.